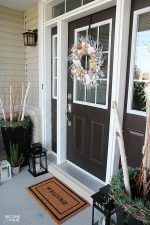 As part of my winter entryway decor and curb appeal series, today I am sharing with you how I made these beautiful pinecone picks for my winter decorated urns! These are so easy and quick to make – just 5 minutes is all you need! Large Pinecones (mine are large Virginian Pinecones which I collected when we lived in VA) but any large pinecones will work! There is only one step to making these! Just add hot glue to one end of the Bamboo skewer then hold it onto the bottom of a pinecone until it’s dried. Place the pinecone picks into your urn or planter, sticking one end of the skewer into the soil. The bamboo skewer will hold them upright and in position so the pinecones don’t fall over! Aren’t they pretty? I love the shape and texture of pinecones! They are such a beautiful natural element to add to outdoor containers and urns. It’s always nice to use nature’s bounty in home decor and it smells so wonderful. 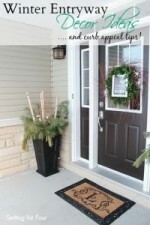 Very easy tutorial for a lovely porch display. I totally agree! I love adding nature’s color and texture to any space! Super cool! 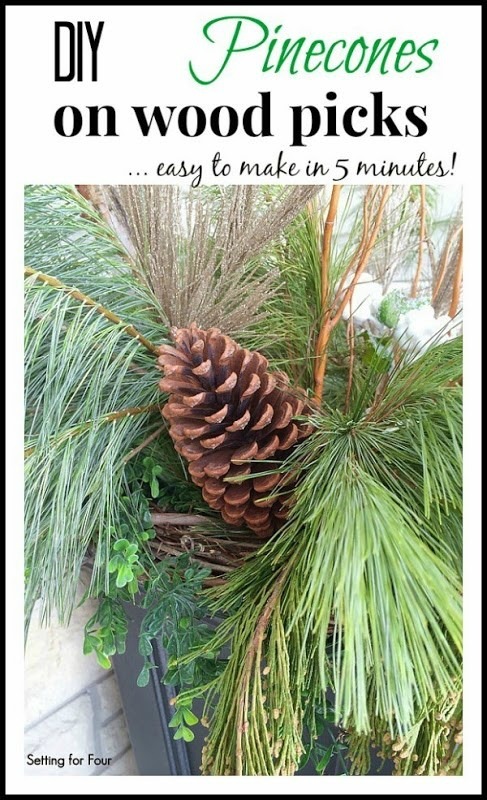 I love pinecones on our Christmas Tree — and this is a great way to extend their use after the holiday. Nice urn arrangement Heather, great photos too! What a welcoming scent to greet you at the door. WOW! |What beautiful, natural arrangements! Very inviting. Thanks for sharing all these great pics. Great arrangements! Pinecones can be used in so many ways! 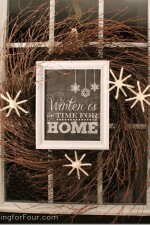 Beautiful winter decor idea, I pinned it:) Thanks for sharing! Remembering this for Christmas this year! This is totally my style; love it! Thank you for sharing this! Great idea! 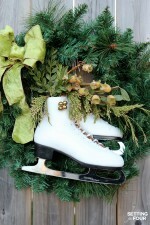 I did something similar in my urns for Christmas, but I love the idea of adding a pick to keep the pinecones in place! Pretty arrangement!